The terifying thing about backups is that it those not come to mind untill is too late. When your iPhone is already dead, or stolen. So here’s your remember that you need a backup. Your entire life is encapsulated in this device you hold in the palm of your hands. The messages exchanged with loved ones, cherished photos, your work documents, work communication, project details – you all have them in your iPhone or iPad. And most of us never ever think about backing up. There are multiple ways to backup iPhone or Ipad. Ranging from mildly annoying to the simple ones. Pick your method from the list below. Using iTunes for back and sync is the both the easiest and the most complicated especially if your not a pro. If you sync periodically, and you have the same Mac or PC and the same iTunes library over the years, you will not have any problem with it. Just connect your iPhone to the PC, and it starts to sync and backup (everything from your contacts, SMS, app data, music, photo, and videos). iTunes gives you control over what exactly you want to sync. you may enable your wifi to allow backup over wireless: Enable Wi-Fi sync from your device screen in iTunes. This means you won’t need to connect your iPhone to back it up. Just periodically hit the backup button on iTunes when you’re working, and the iPhone will do the rest. One problem is that iTunes is complicated and troublesome, it take time to fully understand it. You can sync your iOS device with only one iTunes library . And for some reason, if it gets corrupted or you lose your Mac, you’ll basically need to start over again. This could mean wiping your entire iPhone or iPad. That just doesn’t make sense. Still, iTunes is the best and only way to make periodic, full scale encrypted backups locally. 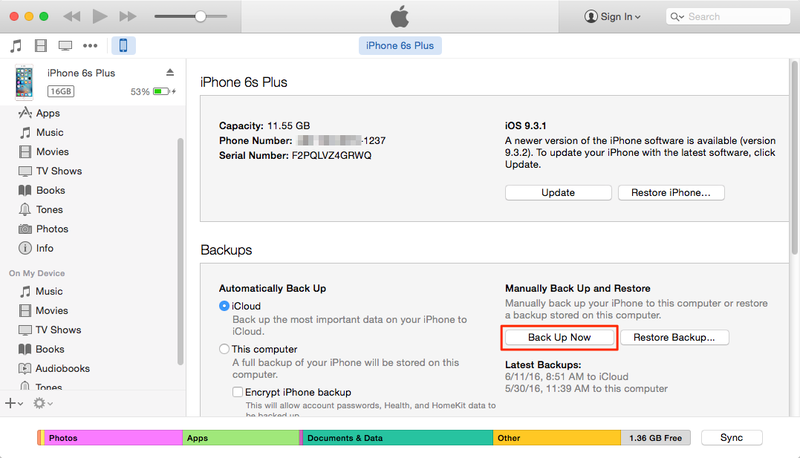 Backup using iClod is anthor best alternate to iTune.however, iCloud storage is very limited. The 5 GB you get for free just may not be enough to back up your phone data, especially if you have much photo and files. You can get 50 GB of space for just $0.99/month and that’s enough to back up your entire device, with photos, for most people. 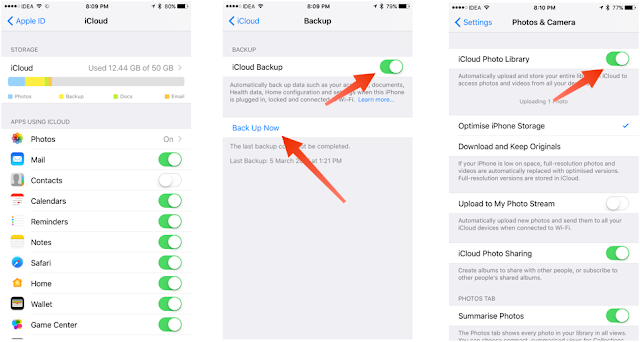 Another reason you should use iCloud backups is because it’s so seamless and easy. 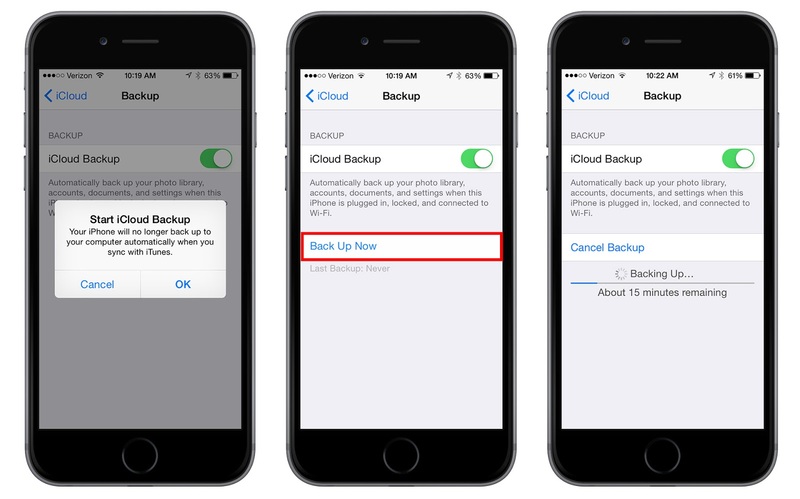 Once enabled, your iPhone or iPad will back itself up to the cloud every night, as long as your device is charging. This means, if you lose your phone on Saturday afternoon, your life’s work until Friday night is backed up and ready to be restored. One problem with the iCloud back up is that it require Mobile data or wifi which may costly. Purchase history from App Store and iTunes. Photos and videos (unless you already have iCloud Photo Library turned on). To set up iCloud sync, open the Settings app, select iCloud and from Backup, turn oniCloud Backup. From Photos section, also turn on iCloud Photo Library. 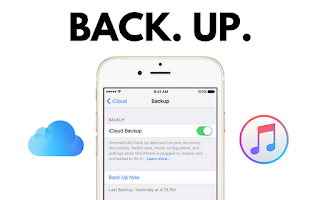 Having an iCloud backup ensures that important details in your iPhone or iPad are never lost. Plus, iCloud will automatically back up new data when it’s charging at night. 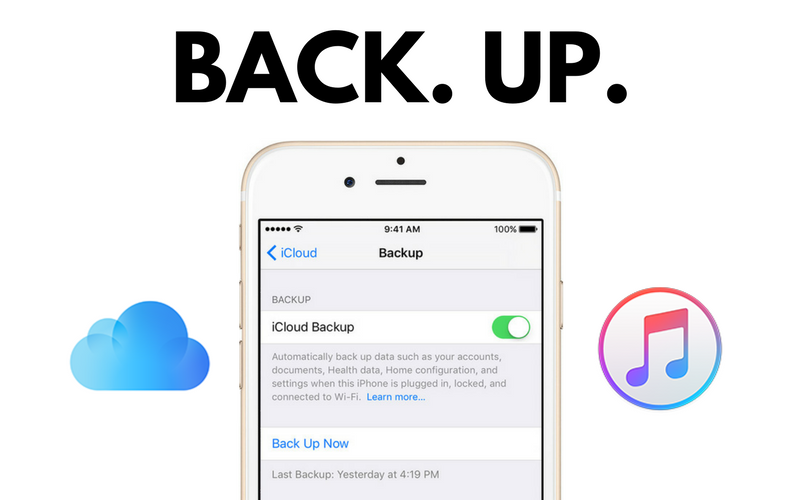 If you think iTunes is too much of a hassle but you still want an official way of backing up, iCloud Backup is your best option. You might be used to Android’s manual approach to data sync and backup. You’ll find apps for Mac and PC that do something similar for the iPhone and iPad. Using an app like 3utools, Anytrans, iMazing or syncios, you can export or import data like music or photos any time you want. You can also export individual Contact, iMessage threads and back them up using a third source. iTunes doesn’t allow for things like this. But in other things, iMazing hits it right out of the park. Just like iTunes, you can backup apps and app data. If you don’t want to use iTunes and you can’t back up to iCloud because of internet issues, just buy one iFonebox or synIos for around $30. Periodic, reliable backups are worth the price. Plus, these apps let you do nerdy things that iTunes just won’t – things like individually exporting and importing iMessage or WhatsApp chats, and exporting media from your iOS device. It’s possible that you’re fed up of iTunes and you don’t want a singular backup that’s too big to carry around. If you don’t mind manually downloading the apps and setting them up (including logging in and so on) every time you get a new iPhone or iPad, you can try backing on different kinds of content to different places. Content like Health data and iMessages will have to go to iCloud because there’s no other alternative. But when it comes to things like photos you can take a different approach. Use Google Photos or Dropbox to automatically backup all your photos. If you’re using Apple Music or Spotify, you’ll be able to download all your music instantly on your newly restored device. Keep your files and other documents in Dropbox so they’re never not backed up. Documents in Office app will be backed up to Microsoft OneDrive automatically. Do the same for every other important app that you use. And you’ll never have to sync via iTunes ever again. When you start using new apps for productivity – like a new text editor, note taking app or a task management app, make sure they offer some kind of reliable cloud sync, backup and manual export option. No matter which path you choose, you really should have a backup . Your life is in this device and it’d be a shame to even lose a part of it. How do you back up your devices like the iPhone or the Mac? Share with us in the comments below.